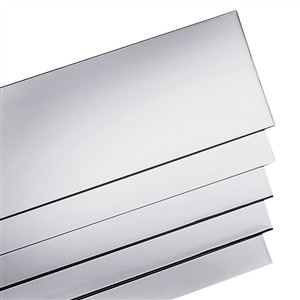 Order Sterling Silver Sheet or Fine Silver Sheet in sizes up to 6" x 12" (one dimension must be 6"); due to the cutting capabilities of the shear, minimum purchase is 6" x 1/2". Pricing is done by Weight. Available in Even Numbered Gauges 14 through 30.